George Charamba's revelation that John Mangudya's term is about to be renewed is nauseating, cynical, contemptuous, disrespectful and an insult to the suffering masses of Zimbabwe. Charamba is praising a man whose ideas and conduct are at the centre of destruction of the Zimbabwean economy, its sanity and hygiene. The MDC is against the stay of Panonetsa Mangudya in office even for a single extra day, the man has overstayed his welcome, caused enough suffering and must just take a break. In any case he has already provided for himself a resignation clause in a contract he signed with the public. 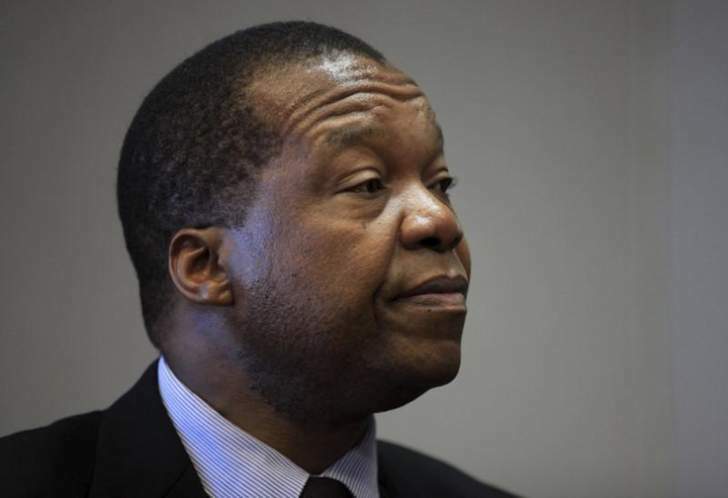 Mangudya pledged to resign if his creature known as the bond note failed, the authorities must just remind him of this pledge as opposed to rewarding him for mediocrity, incompetence and the arrogance he displayed when he was warned against the bond notes. To date the bond notes has created distortions on the market sending signals in the financial sector that have driven the price of the US dollars sky rocketing, creating multiple exchange rates ultimately driving out good money and creating a multi-pricing situation in Zimbabwe. This was predictable even by application of basic laws of economics specifically the Gresham's law. Such a governor has no place in the management of a modern economy. The MDC is disappointed by Mangudya's facilitation of the raiding of the Central Bank by the government a move which saw billions of depositors funds siphoned to fund lifestyles of political elites. Depositors lost value and a crippling liquidity crisis also resulted from this bank robbery. Shockingly for us in the MDC, Mangudya is now unashamedly running away from ensuring the return of depositor's money he extended to central government in an unorthodox and illegal overdraft facility. Mangudya is now part of the group that is pushing for a total loss of value for depositors through the separation of RTGS and NOSTRO accounts. The MDC is of the view that he must be relieved of his duties and allow the bank to start afresh. The man has also brought back quasi fiscal activities which he promises to continue carrying out in his latest monetary policy statement. These include a takeover of mining activities in Marange announced in 2017, extension of a loan facility project for Higher and Tertiary education, a US$76 million facility to fund women's projects and the assumption of responsibility as guarantor of the relationship between ZESA and ESCOM which is also an activity outside ZESA's jurisdiction. Mangudya's actions literally move government functions from the Ministry of Finance to the Central Bank. Serious ramifications of previous activities are still fresh, the biggest being the debt accumulated by the Central Bank which was later adopted by government through the RBZ Debt Adoption Act of 2015. A prolonged stay in office and an intention to extent Mangudya's term is therefore rejected by the MDC with the contempt it deserves.